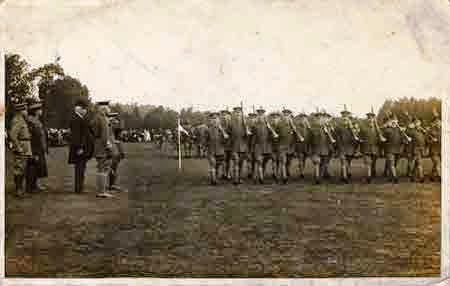 Thursday 31st December 1914: This year the New Year in Bedford is to be Hogmanay and all the Highlanders stationed in Bedford. Tonight the troops who are billeted in unfurnished houses will be fed simultaneously in eighteen public halls, huts and tents. Tomorrow the remainder of the Scottish soldiers will have their turn. The organisation of the New Year celebration has been carried out by Mr Machin, the Secretary of the Borough Recreation Committee. No less than 400 stewards and 300 entertainers are expected to take part, most of whom are giving their services free. The cost of the feast is expected to be at least £1000, most of which has been sent from Scotland although some local contributions have also been received. The fundraising was managed by the Lord Provost of Aberdeen, the editor of the Aberdeen Journal and the Provost of Elgin, the first two of whom have travelled south for the occasion. The suppers are to take place at 6.30 and are to follow a prescribed order. Each will begin with the National Anthem, followed by a welcome by the Chairman and grace said by the Chaplain. After the meal at 7.30 the Chairman will propose a toast to His Majesty the King and the Vice-Chairman will propose “Our Scottish Hosts”. The toasts will be followed by a concert and the distribution of cigarettes. The suppers will end at 9.15 with Auld Lang Syne and God Save the King. No alcohol will be served and the military authorities have ordered all licensed premises to close from 2.30 p.m. both today and tomorrow. Captain Longuet-Higgins describes the impact of weather conditions which meant they were “unable to work at the trenches … as a thaw set in on the next day the parapet began to crack and fall in. Then we got rain and the rain began to pour into the trenches off the surrounding land. Work as we could we could not cope with the rising water.” He asks for a new Burberry coat in “a large size but not too long in the skirt” and a new pair of gloves as “Aunt Florrie sent me a pair but I am afraid I dropped them in the trench and they sank so deep that I could not get them back. This last tour has meant wet feet absolutely cold for 3 days and nights without being able to take my boots and socks off. The result is swelled feet and now I have got my boots off I can’t put them on again.” His company are now in a more comfortable billet and he hopes he may get leave next month. 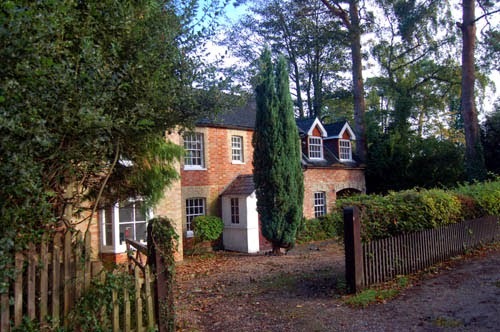 The transcript of the letter is annotated “The children and governess used to take the men for walks at Hinwick”. Another note tells us that the girls were “Hinwick House servants, one of them a widow of 47”. Apparently Edith Craven (nee Sartoris) who was originally from Rushden. Monday 28th December 1914: Two hundred Luton men have already enrolled in the Voluntary Training Corps which was established at the beginning of the month. 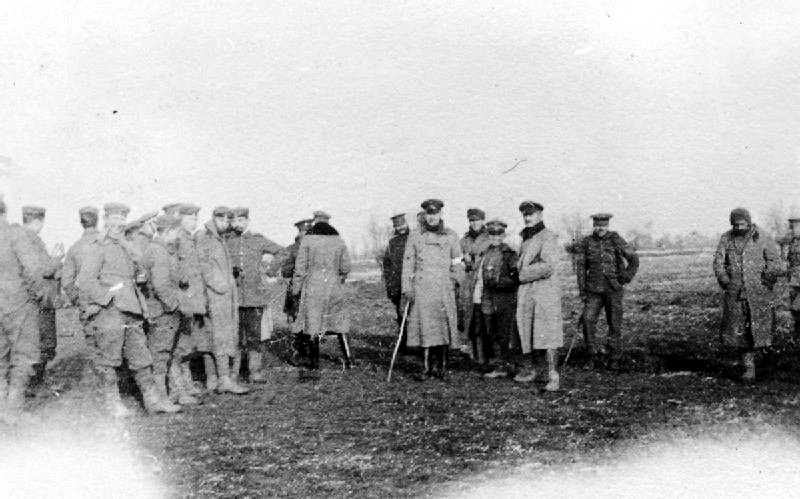 Ten former non-commissioned officers have made themselves available to instruct the men, and Lord Herbert Scott of the 23rd London Regiment has offered the help of his battalion Sergeant-Instructor while he is in the town. The first drill will take place next Monday at 8.30 at the Corn Exchange. The Mayor of Dunstable, Councillor F. T. Garrett intends to call a public meeting at the Town Hall to form a Volunteer Training Corps for Dunstable. He would like to hear from anyone willing to help with the promotion of this new venture. 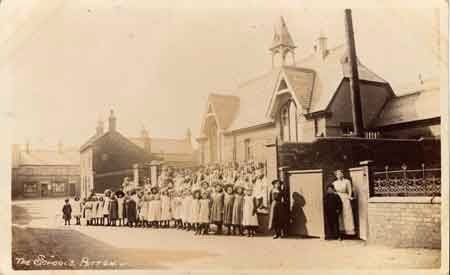 Sunday 27th December 1914: The Red Cross hospital at Leighton Buzzard has now been closed. Since military hospitals opened at Aylesbury and Tring demand has reduced, and the ten remaining patients have been transferred to Tring. Since opening in August the hospital has treated about 300 cases. Although many of these were serious only two patients died. The hospital also treated many out patients. Leighton Buzzard railway station has been extremely busy over the Christmas period. The usual heavy number of passengers at this season has been increased by the almost 200 troops billeted in the area, most of whom have been given home leave for Christmas. By Boxing Day 4,000 passes had been filled in, counterfoiled and duplicated. On Wednesday troop movements caused considerable delay and staff were forced to delay ordinary traffic in order to cope with the Christmas rush. Saturday 26th December 1914: The Chairman of Queen’s Engineering Works in Bedford has been looking back at an extraordinary year. No less than 304 employees from the Works have joined the Colours, a source of great pride for the Company. Despite this considerable progress has been made in the Company’s manufacturing work. Steam turbines completed during the year include two built to drive dynamos on one of His Majesty’s ships. Due to internal reorganisation of the premises extra space for a new Dynamo Shop has been found without reducing the area of the Iron Foundry, where many more high quality castings are being produced. The company has been developing machinery to use in connection with its condensing plants, and installations have been made at the Corporation Electricity Works in Rochdale, the London Underground power station at Lots Road, Chelsea, and in South Wales. Orders for large condensing sets have also been received from India, Japan, Australia, and South Africa. Due to the unusually small rise in the Nile in 1914 the Company has been asked to supply a correspondingly large number of pumps for use with artesian wells in Egypt. These are used to raise the water lying below the desert without interfering with the Nile itself. Other work carried out by the Company included the main drainage system at Cairo, pumping machinery for a new dock at Hull, another dock pumping plant in Japan, and machinery for a floating dock for Holland. The Works has also been called upon to meet urgent orders for machinery it makes for the British Navy. The company Chairman was Mr W.H.Allen. The Works magazine carries an obituary for his sixth and youngest son, John Francis Allen of the Loyal North Lancashire Regiment, age 33, who died of wounds in hospital at Ypres on November 5th 1014. Captain Allen received his wounds while rescuing two men who had been buried by the bursting of a shell. Harry Edmund Warren Auger was born in Lower Heyford, Oxfordshire c.1892 and appears in the 1911 as an engineering apprentice at Bedford. He appears to have survived the War. The 74th Motor Transport Company was serving in the 8th Division Supply Column of the 4th Army Corps. The County Education Committee supplied 80lbs of wool for making body belts, 150lbs for socks, and 230 lbs for scarves and mittens. This was expected to provide around 410 belts, 470 pairs of socks, 570 scarves and 380 pairs of mittens. In addition to this some schools have also collected money to buy extra materials and have been making things for the men of their own villages or in response to other appeals. Potton School also made shirts for soldiers out of warm flannel. The original funds provided by the Education Committee are almost exhausted, but it is expected that they will continue this educational and patriotic scheme. Source: Bedfordshire Times, 1st January 1915. With reference to the report sent you of the death of No.8213, Private Timothy Cambers, Bedfordshire Regiment, I am directed to say that from the evidence produced in the postcard from this soldier sent to Mrs Stimson, it would appear that this report was incorrect, and that Private Cambers is a prisoner of war in Germany. I am to add that it is much regretted that any unnecessary pain should have been caused you by the incorrect announcement, but in the circumstances prevailing at the front, it is inevitable that a certain number of errors of this nature should arise. It has been known for a while that reports of Private Cambers’ death were premature and he was last heard of in a French military hospital. This is the first communication Mrs Cambers has received from the War Office since it notified her of her husband’s “death” and it seems they only became aware that this was an error because the family forwarded a postcard they had received from him. While some errors may be inevitable it is to be hoped that this is a rare case as the distress caused to his pregnant wife and young family must have been extremely traumatic. Mrs Stimson was Cambers’ older sister Rose, who had married Arthur Stimson in 1902. This appears to be William Goff’s half-sister Mrs Lydia Goff (nee Pulley). His service papers show that William George Goff joined the Rifle Brigade in October 1907 and before the war had served in Egypt and India. In 1911 he had was severely reprimanded as a corporal for neglecting his duty in allowing his men to drink water from a native well. Emma Goff (nee Pulley) of Keeley Lane, Wootton. Joseph Zachariah Goff had joined the Rifle Brigade shortly before his 19th birthday in February 1907. Monday 21st December 1914: Even during the tragedy of a great European war it is sad to report the death of a sporting icon. 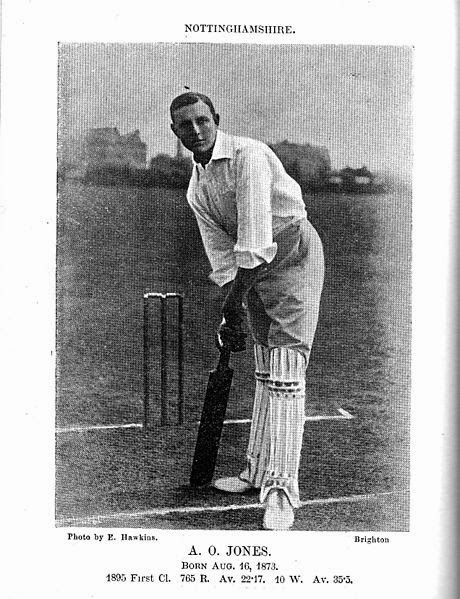 Mr Arthur Owen Jones, the Cambridge University, Nottinghamshire and England cricketer died today at his brother's home, Lanark House, in High Street South, Dunstable, of tuberculosis at the age of 42. An otherwise fit young man he never recovered from pneumonia contracted on a tour of Australia in 1907/8 when captaining the English tourists. He was born on 16th August 1872 at the rectory in Shelton [Nottinghamshire] and in 1881 went to Bedford Modern School, captaining the First XI in his final three years. He first came out for Nottinghamshire in 1892 and got his blue at Cambridge in that year and 1893. He was a wonderfully free hitting right handed batsman, a useful bowler of leg-breaks and a magnificent fielder close to the wicket, the latter, perhaps, being his chief glory. He is said to have invented the position of gully and brought of many remarkable diving catches in that position. As a leader of men he was an all-impelling personality, leading an unfancied Nottinghamshire to the County Championship in 1907. On the back of this he was chosen to captain the England tourists to Australia the following winter. He had first played for his country as long ago as 1899, playing in all five tests on the Australia tour of 1901/02 and two tests in 1905. He only played in two tests of that 1907/08 tour because of the pneumonia he contracted and played twice more for England in 1909. It may be fairly said that he failed at the highest level, but that failure sprang from a thoroughly unselfish attitude believing that, as captain, he should set an example and score his runs quickly leading to being out before he had got himself set. An all-round sportsman A O Jones will be remembered by Bedfordians more for his rugby exploits. Whilst at school he played for Bedford and it was a very unfortunate turn of events for the club which caused him to throw in his lot with the Leicester Tigers. It was as a full back that he shone. He never managed to catch the eye of the England selectors at rugby. His rugby methods were characteristic of the man, marked by great keenness, enterprise and intelligent knowledge of the game. In his first-class cricketing career he played in 472 matches, making 22,935 runs wit ha highest score of 296 at the commendable average of 31.54. he also took 580 catches and snared 333 wickets at an average of 32.81 with best bowling figures of 8/71. In his test career he made 291 runs at an average of 13.85 with a highest score of 34. He played six matches in this last summer, the final one being against Hampshire on 8th-10th June. Though far from well Mr Jones captained the side and, going in at number nine, made a lively 33, second-highest score, before being caught by the wicket keeper Livsey off the bowling of medium pacer Remnant. The match was drawn. This would appear to be Richard George Cox, who was living at 66 Beech Road in 1911 with his wife Bernice and two young children. He was killed on 22nd June 1915. “Jack Johnson” was a slang term used to describe the impact of a heavy German artillery shell, named after an American heavyweight boxing champion. Many of you will agree that Old Lutonians who enlisted, did so for the one outstanding reason that His Majesty’s Army would not and could not be complete without some O.L’s in its wake. Those of us in the Queen’s Own Rifles have, since joining found that it was not merely for the meagre 7/- a week that they became soldiers, but absolutely for the honour of being able to serve their Country. … Some people imagine the “Terriers” are having a “holiday” at present. To those individuals I would give a hearty invitation to spend a week with us at St.Albans, although I verily believe that a single day would suffice. From one week’s end to another, it is one continuous routine of drills, marches and numerous other items. By this I do not mean that we are tiring of our task. Far from it. I do not believe there is a single one of us that is sorry he enlisted. What a difference this military life is to our usual home circle. 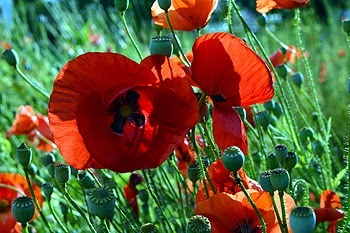 It is really wonderful to see the way in which we have so suddenly accustomed ourselves to the dainty fare of the Army. Perhaps the menu card which is (not) printed for daily use will assist those who have our cause at heart. Breakfast: One can of tea (including milk and sugar), one piece of bacon and bread and a portion of cheese (The “guests” are not expected to have too much of these items). Dinner: Stew, roast beef and mutton, potatoes (in natural skins). Tea Bread and jam (and plenty of it). Butter is never included here. Tea (as above). Supper: Nichts (unless you provide it). At first we could not relish these stylish courses, especially as the bread was, and is now, a week old before we get it. The tea more often than not has a very suspicious smell of stew or potatoes. Now and again the War Office or kind friends outside will provide us with dainty delicacies such as stewed apples and custard or stewed damsons, which causes a terrible rush for the “dixies”, the name given to our coooking untensils. In spite of these little trials and troubles we manage to get at the humorous side and this keeps us very optimistic. From what I can understand from the others as well as personally, the chief disadvantage is the bed. Perhaps the word “bed” is rather vague and likely to lead one astray but as that word is the nearest approach we will let it remain as bed. We sleep on the floor, not being so fortunate as other companies in being billeted in private houses. We cannot even get one of the straw beds which are so kindly provided for the express benefit of the Soldiers by the War Office. The first fortnight, sleep was evidently a thing of the past, but we gradually accustomed ourselves to such sweet repose, and now we do not worry about sore hips and elbows. The fact is we do not want to get up in the mornings. What tales we shall have to relate when we return to our one and only Luton. I am sure such tales of “short sharp rushes” and “extended order” will stagger you, especially if we happen to get the real thing. At the present time we are camping out three times a week and actually have to prepare our own meals and cook them. The first obstacle that confronted us was that although we might prepare and cook them easily it would be much more difficult to eat them. This was not the case however, and all agreed unanimously that we had become thoroughly domesticated at a very short notice. I could relate for long enough our little “quiffs and qualms” but as the poet says “Enough is as good as a feast”. Councillor Timms produced figures showing how much the town had lost since the billeting of troops in Dunstable had stopped. He wanted to know who was preventing the troops coming as many people in the town were living on the poverty line and would have benefited greatly from the prescence of troops. The Mayor had issued a poster signed by himself and by Alderman Gutteridge without consulting the council. This had led to the spread of rumours in the town. The Mayor said that he took full responsibility, that the circular was issued because he feared a riot, and that if it was felt he was done wrong he would submit to a vote of censure. He then read a letter from Lieutenant-General Codrington stating that the troops had been withdrawn entirely for military reasons. Alderman Gutteridge expressed sympathy with Councillor Timms and stated that an interview between himself and Major Davis was on private business. He himself had had nothing to do in any way with troops not coming to the town. 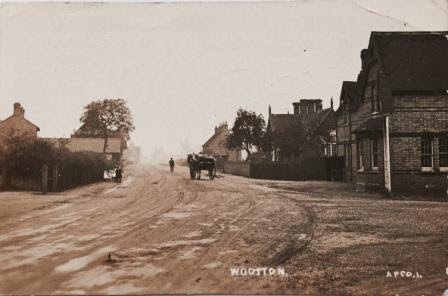 Councillor Dales said he had been told that somebody had written to the War Office saying the town was insanitary. 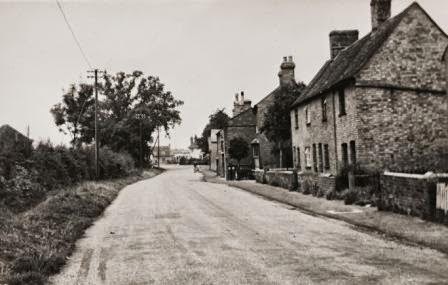 The Town Clerk admitted that a War Office inspector had been to Dunstable and spoken to the Medical Officer regarding sanitary conditions, but said the inspector had been entirely satisfied. 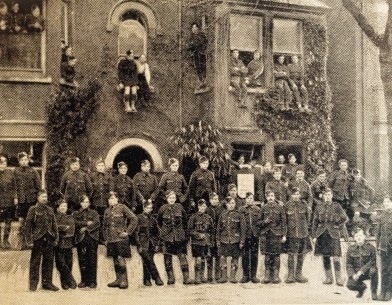 Almost all Councillors agreed with Councillor Timms’ opinions, but an amended resolution was passed under which the Council was to communicate with the War Office endorsing the Mayor’s efforts to secure the billeting of troops at Dunstable and hoping that a larger contingent of troops would soon be sent to the Borough, “one of the most bracing and healthy in the country”. 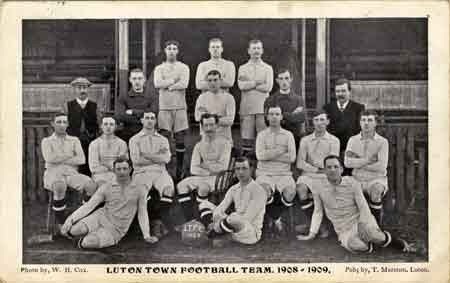 Wednesday 16th December 1914: Yesterday morning two wing forwards from Luton Town Football Club, Hugh Pierce Roberts and Frank Lindley, attended a meeting of professional footballers at Fulham Town Hall. At the end of the meeting they were among the first to enlist in the new Footballers’ Battalion; so many others followed that extra recruiting officers had to be called in to help. A total of 35 men signed up and marched together to Chelsea Barracks. They were then given ten days’ leave at a rate of 2s 9d per day while on home service. The men were accompanied to London by their trainer Billy Lawson, who already has two sons in the Territorials and would very much have liked to join up himself. When the players are called up they will go for training to Richmond. They will be allowed leave to play in their Club’s fixtures until the end of the season and will continue to receive their Club wages as well as their army pay. The Footballers’ Battalion was the 17th Battalion, Middlesex Regiment. See Luton’s World War I: Great WarStories for more about the involvement of Luton Town players in the Great War. Tuesday 15th December 1914: Anyone familiar with Aspley Heath will know the Flying Duck beerhouse in Heath Lane. Dorcas Seabrook (nee Yarrow), the wife of the landlord Harry Seabrook, comes from a long line of soldiers and now has three brothers following the family tradition. Charles Yarrow is serving at the Front with the Signal Corps of the Royal Engineers. He has written to his sister that “the weather is very bad and I shall be glad when the cuckoo comes and picks up all the dirt … Thank my mates for tobacco and pipe, which were more than acceptable. You don’t know the value of a pipe here; it’s like looking for gold, but I have still got three left. … If you can possibly let me have a pair of socks, no matter what kind, I shall be very pleased, as we cannot get any”. George Yarrow is with the 7th Regiment of the Dragoon Guards. He had served for two years in Egypt, then for six in India and is feeling the contrast in the weather: “It is snowing hard here, and by Jove, it is a bit parky after the climate I have been used to this last six years; but, we shall soon get used to it again. It is a rather strange sight to see snow lying on the ground; I had almost forgotten what it is like”. He asked his sister for paper and envelopes, and for a bar of Sunlight soap which is very scarce at the Front. So far his Regiment has suffered only light casualties. Mrs Seabrook’s third brother William is currently training at Northampton. Their father, Frank Yarrow of Wootton, served in the Crimea (where he helped Florence Nightingale in the hospital wards) and through the Indian Mutiny. Their grandfather and great-grandfather were also soldiers. Prior to joining the army George Yarrow had been apprenticed as a tailor. He was disciplined four times during his army service for offences relating to drunkenness, twice in 1908, on Christmas Day 1913, and in March 1916. On 2 May 1916 he was admitted to 3rd General Hospital at Le Treport vomiting blood. He died four days later from a perforated gastric ulcer. A telegram of 5 May from Harry Seabrook states that he would like to visit George but could not bear the expense. A certificate from a clergyman supported the claim that Mrs Seabrook would be unable to afford the cost of a journey to France. Frank Yarrow is described in the 1881 census for Wootton as a farm labourer and Chelsea pensioner. Monday 14th December 1914: A funeral has been held this morning for Private James Geddes of the 4th Cameron Highlanders who died from complications following measles. From the Highlanders’ first arrival in Bedford the medical authorities in the town have been afraid of the consequences of a measles epidemic. Many of the soldiers come from parts of Scotland where the disease is almost unknown and measles is known to be particularly dangerous among people who have not built up any natural immunity. A measles outbreak began in October, with the first case among the troops occurring on 15th October. Private Geddes’ death yesterday morning was the first fatality for the Highlanders, but it is very unlikely to be the last. He died at the Goldington Road Schools which were turned into a temporary military hospital when the severity of the epidemic became clear. This morning also saw the first fatal civilian case with the death of a three year old child. Private Geddes was a “braw laddie” of 22 years of age and had been a farm labourer at Culloden, the site of the famous battle. Tragically his younger brother, Private William Geddes of the 4th Seaforths, had been the first of the Highlanders to die in Bedford and was buried in the town cemetery on 10th October. Private James Geddes had been the principal mourner at his brother’s funeral; this time a third brother was the only official mourner. The young man was buried in a grave at the foot of his brother’s. The Medical Officer of Health recorded 8 measles cases in October, 72 in November, and 386 in December and the first week of January. By the end of December 7 children and 15 soldiers had died. The Camerons, who came from the Western Highlands and Isles, were the most severely affected. Both James and William Geddes are commemorated on the Kilmuir Easter War Memorial, Ross and Cromarty. Sunday 13th December 1914: A fatal accident took place at Bedford Station in the early hours of this morning in which a Midland Railway goods guard, Alfred Charles Cave, was crushed under a wagon wheel. Mr Cave arrived at the south siding with 33 wagons from the Bedford yard. He was told by Henry Harlow, a shunter, that there was room only for 21 wagons as the siding was already partly filled and was told where to put the rest. Cave began shunting. While Cave was uncoupling the 21st wagon Harlow heard a pole crack and his colleague cry out. He found Cave lying on the line in front of the wheel, which was pushing him along. The wheel then mounted his body and fell off the rails. Harlow raised the alarm and the driver stopped the train, which had not been going at more than 3 m.p.h. The accident may have been the result of Mr Cave having difficulty unlocking a very heavy screw coupling. Mr Harlow thought Mr Cave had got the pole between the wagons to lift the coupling off, and either the pole broke as he pressed on it, or Mr Cave slipped. He said that Cave was “one of the best shunters round about Bedford, and a rare man for doing a bit of work”. He had been a guard on the Midland Railway for 26 years and was one of the best and most experienced men at Bedford. He died on the way to hospital. In the evening a meeting of the National Union of Railwaymen was held at Bedford Picturedrome. It was presided over by Mr F G. Kellaway MP who said every civilian in the country owed a debt to the railwaymen for their work, the risks of which had been demonstrated by the death of Mr Cave and which were all too often overlooked by the public. The sacrifices of life and limb made by those who worked on the railways were just as valuable as the sacrifices made by the men in France. He commended the work of the A.S.R.S. which would make the lot of Cave’s wife and children a little easier. 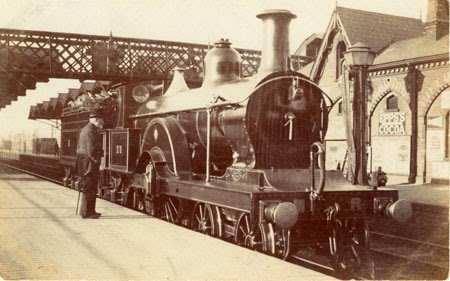 The railways had also contributed more than their fair share to the forces, and forty men of the Bedford branch had already joined the colours. Mr Thomas MP also spoke to the meeting, expressing his delight at the way the railwaymen of Bedford were now recognising their responsibilities and that membership of the branch had risen from under one hundred to over five hundred in three years. 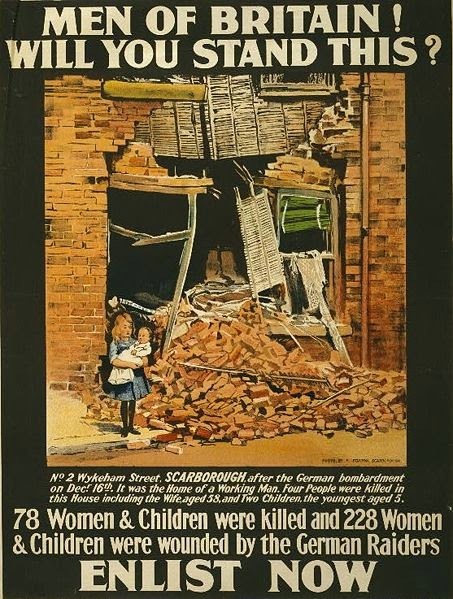 He believed that Germany had assumed that the workers of Britain would seize the opportunity of the war to press their claims for improved conditions and higher pay and that the resulting conflict with the authorities would work in the Germans’ favour. He also believed that the workers differences with the railway companies were nowhere near as great as their differences with the enemy. They knew their country was in danger and would play their part as much as the soldiers who were facing the bullets. He said 66,000 railwaymen were already serving the king, a greater number than that contributed by any other industry. He trusted that after the crisis was over the just claims and sacrifices of the railwaymen would be recognised. The Executive intended to do everything in its power to ensure the current state of affairs where the men’s wages were being reduced while shareholders’ dividends were guaranteed should be changed. They should also realise that if the government could take control of the railways as easily as they had done at the beginning of the war, private ownership was a danger to the state and the railways should be owned and controlled by the people in peace time as well as in war. A collection was held for the Belgian Relief Fund. An inquest into Alfred Cave’s death was held on Tuesday 15th December and a verdict of accidental death was given. The Amalgamated Society of Railway Servants had in fact merged in 1913 with two smaller railway unions to form the National Union of Railwaymen. James “Jimmy” Thomas (1874-1949) was an official of the A.S.R.S. who became general secretary of the N.U.R. from 1919 to 1931. He was Labour MP for Derby from 1910 to 1936 and later served as Secretary of State for the Colonies. 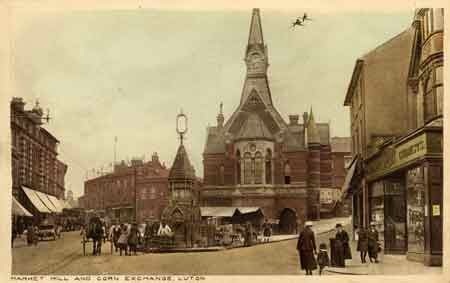 Saturday 12th December 1914: A number of men from Bedford attended a meeting held at the Guildhall in London on 25th November by the Central Association Volunteer Training Corps, which now has formal approval from the War Office. A meeting was then held yesterday evening at the Midland Hotel where it was unanimously agreed to form a Local Civil Corps for home defence, to be made up of men who are unable to enlist in the regular forces due to their age or for other reasons. It is hoped that this corps will soon be affiliated to the Central Association Volunteer Training Corps. A meeting is to be held at the Town Hall on Tuesday 22nd December at which the objects and scope of the Corps will be explained. 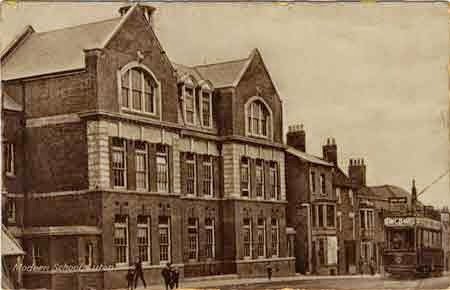 A drill hall is to be found and a provisional committee set up. It is intended that members of the corps will master military drill and musketry so that they can be called on in case of invasion or other national emergency. An increasing number of men have already been drilling with the help of qualified instructors on one or two evenings a week. 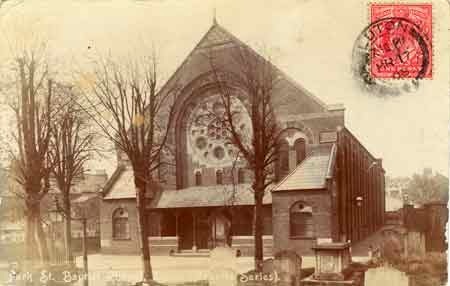 Thursday 10th December 1914: A concert was held yesterday evening in the lecture hall of Park Street Baptist Church, Luton to raise funds for seventeen Belgian refugees from Malines now living at Leagrave and being supported by the members of the Church. The refugees themselves attended the concert and were given some of the front seats. To ensure there was at least a part of the concert that the guests could understand the second half began with the Belgian National Anthem. The choir sang a verse and were followed by a young Belgian woman who received almost deafening applause. A Belgian man joined her on the platform and started an impromptu rendition of “God Save the King” which he ended with a shout of “England for ever” in his French accent. The main focus of attention for all the women in the audience was a young baby whose father was fighting with the Belgian Army. Just a line to tell you that I arrived home quite safe – Mrs Olebar I am sorry I did not write before. I have had a lot to do since I have been home. 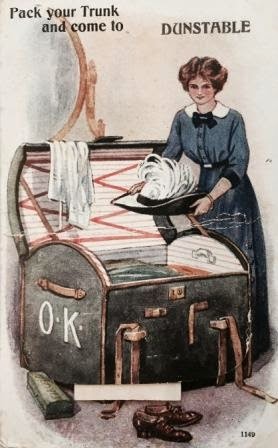 Mrs Orlebar I write to thank you for having looked after me well at your Dear Old House and I must say If I had been a Lord’s son you could not have done more for me. I did enjoy myself very much. Mrs Orlebar, I hope you and Major Orlebar and Mr Beecham Orlebar and all your Dear Family are in good health, as it leaves me at present and please remember me to all. Mrs Orlebar my hand is about the same. I cannot use it yet but I hope to soon. I am pleased to say my wife is going on fine and my family. My wife ws pleased when she saw me, and when the wife had a proper look at me she said how well I looked and when I told her about all the nice food I had she said no wonder you look well. Mrs Orlebar, if Major Orlebar do have to go to the front I hope he will have a safe journey and a safe return and good health and good luck. So now I must close so goodby. Faith Orlebar was the wife of Richard Rouse Boughton Orlebar, son of Richard Orlebar, the owner of Hinwick House.